Your underground dog fence has been installed. The backyard is beautiful. It’s time to start working on your garden. Many people start a garden in the spring or summer or move into a home that has gorgeous greenery and colorful flowers already planted in the backyard. Did you know that certain plants are poisonous to cats and dogs? 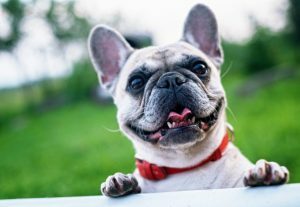 At Freedom Dog Fence, we understand that your pets are family, and our goal is to keep your family safe and happy as we enter these hotter summer months. Ranging from pink to purple and white to red, these colorful flowers are beautiful to look at, but should be avoided when it comes to the health and safety of your dog or cat. If your pet consumes one of these flowers or even just a few petals, take them to the veterinary immediately. Symptoms of azalea poisoning include vomiting, diarrhea and excessive drooling. These symptoms can present themselves in less than an hour. When it comes to lilies, there are both toxic and non-toxic varieties, so it is very important to know the difference if you are insistent on planting these beautiful blossoms. Calla, Peace and Peruvian lilies are several non-toxic lilies. It is possible that their petals may cause irritation in your dog’s or cat’s mouth—symptoms of this irritation is minor drooling. Other than the drooling, though, your pet won’t need an emergency trip to the vet. Easter, Day, Asiatic and Tiger lilies are highly toxic and you will want to avoid planting these in your yard. If you see your pet ingesting even the smallest bit of one of the dangerous lilies, take your pet to the vet immediately. Kidney failure is the result of lily poisoning, and the earlier your pet gets to the vet, the easier it will be to treat your fur baby. We know—how can something so beautiful be so dangerous? Daffodils are another flower you will want to add to your list of “no-gos” when it comes to adding a pop of color to your backyard. If your pet munches on one of these flowers, head to the vet as quickly as possible. 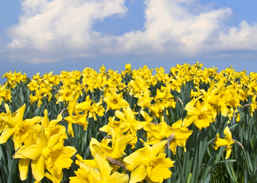 The severe symptoms of daffodil consumption include abdominal pain or tenderness, vomiting, diarrhea and respiratory depression. Oleander is a common outdoor plant, so it’s very possibly this plant is already growing in your yard. If this is the case, dig up the shrub immediately. The plant is extremely toxic to your pets and cause a multitude problems. Get your cat or dog into the car and head to the vet if this plant is ingested. If consumed, oleander will slow your pet’s heart rate to dangerous levels and can even result in death. Horrible, we know! 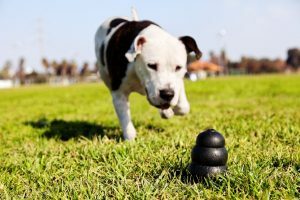 Get these plants out of your yard immediately and don’t even think about planting them anywhere, even if they seem out of your pet’s reach. Animals have the darndest way of accessing the inaccessible! If you watched “Breaking Bad,” you know just how dangerous this plant can be. Lily of the Valley plants are extremely poisonous to humans and pets alike—don’t be fooled by their delicate, bell-like flowers and shiny red berries. If your pet eats any part of this plant, get to the vet immediately. Symptoms of Lily of the Valley poisoning include seizures, slowed heart rate, cardiac arrhythmias, vomiting and diarrhea. You are protecting the safety of your entire family when you forgo bringing these plants around your home. Don’t be fooled by the pretty purple petals—every part of these flowers are toxic to dogs and will cause liver and kidney failure, seizures, heart arrhythmias and an extremely intense burning sensation in your pet’s mouth. Again, all parts of this plant are toxic but the highest concentration of toxicity is in the plant’s bulbs. Get your furry loved one to the vet as soon as possible if they munch on an autumn crocus. You may have heard of the common houseplant, dumb cane—this is dieffenbachia; dieffenbachia is dumb cane’s scientific name. Dieffenbachia is found in the households of lots and lots of families who enjoy being surrounded by indoor greenery. They are known for their tolerance of shade, which is why they are excellent houseplants! If you’ve been harboring a dumb cane plant in your home, it’s time to toss it if you have a pet. If one of your pets starts to nibble on dieffenbachia leaves, the result is extreme oral irritation including burning sensations in the lips, mouth and tongue and difficulty swallowing. Take your dog or cat to the vet for an exam if ingestion does occur. Sago palm looks like a shorter, squatty version of a palm tree that takes almost 10 years to grow to its full size. If you own a pet and have a sago palm in your yard, it’s time to rip it out. Not only are they extremely difficult to care for and manicure, they are extremely poisonous to dogs and cats. Get your pet to a vet immediately if they eat part of your sago palm, as liver failure and death are two of the common results of ingesting this toxic plant. When it comes to easing the sting of a sunburn, aloe vera is awesome. When you are finishing baking that last batch of chocolate chip cookies and the cookie sheet accidentally taps your inner arm resulting in a blistering burn, aloe vera to the rescue! 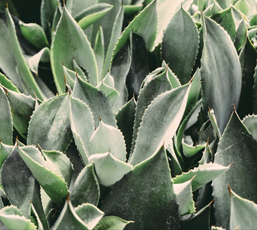 But when it comes to pet-friendly yards and homes, aloe vera is a no-go. The gel inside the leaves is not dangerous, but the leaves themself can cause major digestive issues and bloody vomiting if your pet takes a bite. Don’t risk it—keep these plants out of your home and garden. You may be gasping and hurrying out to your yard to start chopping the ivy that’s currently enveloping your surrounding trees—good idea. Chop it all down! Get it out of there, and come back to continue ready when you’re done. We’ll wait… So now that you’re back, congratulations on saving your pet’s life! Literally. 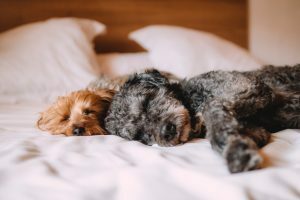 When a pet decides to make ivy leaves its dinner, the symptoms are extremely severe and include rash, difficulty breathing, paralysis and even coma. Like we said, you literally just saved your pet’s life by ridding your yard of that ivy plant. 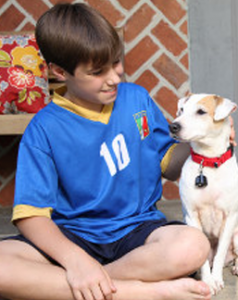 At Freedom Dog Fence, we know your dog or cat is family. When you enlist our professional services, your pet becomes our family too. We care about the wellbeing of your loved ones and don’t want anything to jeopardize the safety of your fur babies. So go ahead and get your garden on, but please pay close attention to the list we provided above. And if you are unsure about a unique plant you are planning to grow, do your research because these are only a few of the many plants that are toxic to pets. If your garden is already in full bloom and clear of dangerous plants, it’s time to show off the fruits of your labor. This is where Freedom Dog Fence comes in. If the giant clunky fence in your yard is obstructing views, give us a call today for a free quote and to discuss all of your invisible fencing needs!